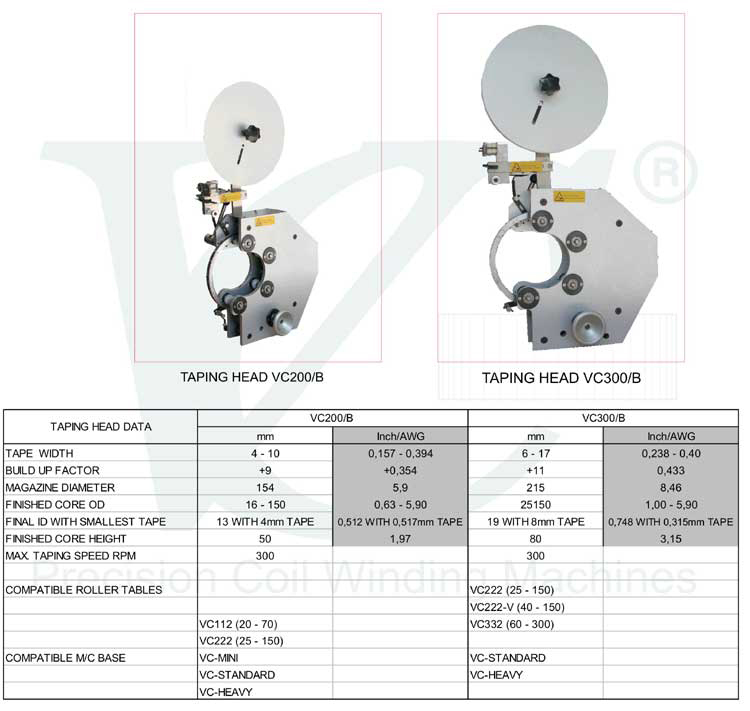 High speed taping heads work with a belt drive system which enable them to work without gear racks: this enables the speed taping heads to tape into small internal diameters at a high speed. The VC quick opening and closing system reduces handing time. The loading and taping operation is fully automatic.